Efficient service from Tayna. Well packed but wish they could use different poly packing as it breaks up easily into brushes and gets everywhere. Too early to comment on produce itself. Excellent service allowing me to choose my delivery date and a great battery! Great service from Tayna with service, delivery and packaging. The battery itself seems to be well made. 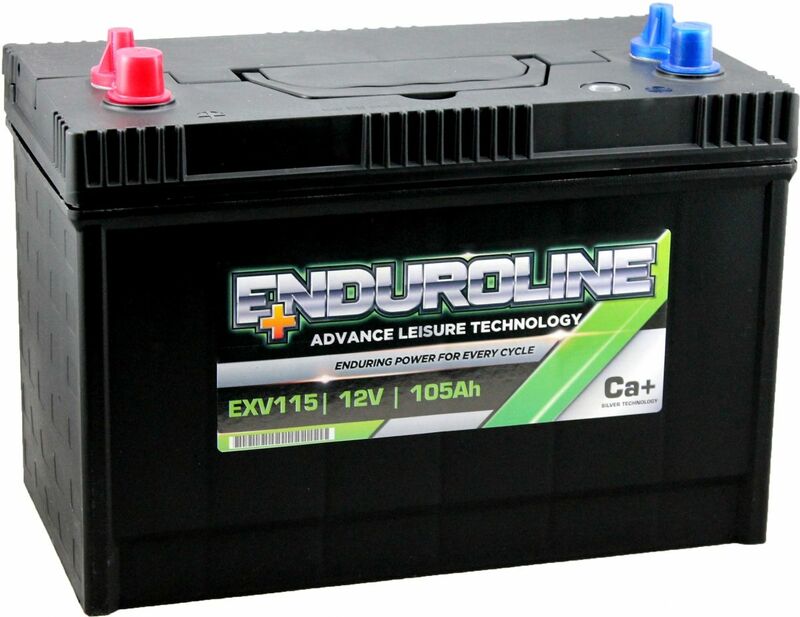 Enduroline advanced technology calcium leisure batteries. This new innovative range brings calcium technology to the leisure market, giving higher capacities and improved performance. 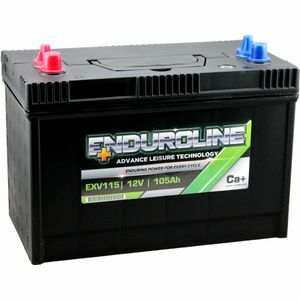 With extra power and a superb 4 year guarantee the Enduroline Ca is the only battery you'll need. QDo you have this battery with the positive post on the right hand side? AThere is a very similar version with the positive on the RHS - it´s called the EXV115R.